Are you sure Aqua Pearl Mini Basic Grace 8 L RO + UV Water Purifier is not available in market? Aqua Pearl Mini Basic Grace 8 L RO + UV Water Purifier from Aqua Pearl Mini is listed in Water Purifiers category in revaalo. 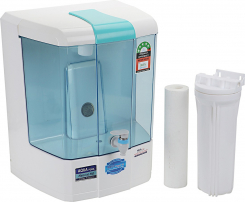 Reviews,Ratings, details and specifications of Aqua Pearl Mini Basic Grace 8 L RO + UV Water Purifier. Other body features Aqua Pearl Mini 8 L RO+UV Controller Water Purifier (White) Product Comes As Ready To Use Condition The Consumer can get it installed by RO service technician available in your area(DO NOT INSTALL THE MACHINE YOURSELF) For Installation Help you can Call @ 011-65007457.Company Will Provide Installation Help By Phone .In Some States Installation Is Available On Chargeable Basis. 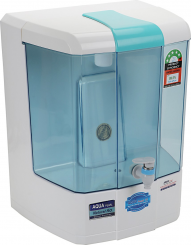 The Aqua Pearl Mini RO Water Purifier Comes With Membrane Life Enhancer, Pre-Filter,1 Free Spun Filter .We Ensure That Your Family Gets Pure And Clean Drinking Water At All Times .The Machine Is Made By Taiwan Made Filters high pressure Booster Pump &amp;amp; 1812-80 GPD Pre-Loaded R.O Membrane. It Has A Maximum Storage Capacity Of 8-10 Liters, Which Is Sufficient For Your Entire Family. Being Fully Automatic Water Purifier Will Make A Great Water Purifying Solution For Your Home. Featuring Reverse Osmosis (RO+UV) Water Purification Methods, This Water Purifier Effectively Flushes Away Pollutants, So That Your Family Stays Away From Any Kind Of Harmful Diseases. All Above Features Is Available By Prolife Seller Only.